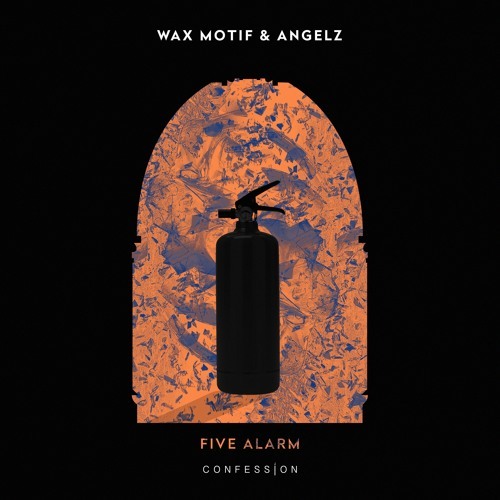 Wax Motif and ANGELZ have teamed up to tie the summer off, unleashing their bell ringing collaboration Five Alarm. What a beauty this is guys! Loving those piano keys! It showcases elements of glitch hop, trap and G-house, while a rhythmic vocal strings together the spectrum of Wax Motif and ANGELZ’ electronic elements. Connecting heavy hitting kicks, glitch hop beats and trap snares to a smooth, hypnotic melody, both artists find common ground on the breakdowns, where both of their hard house expertise shines strongly. Stream it below! Fresh off of the release of his Saint Thug II EP, ANGELZ proves himself relentless on this latest collaboration. With a breadth of releases under Confession and a recent mix on Diplo’s Diplo & Friends the unstoppable producer brings his gritty G-House tendencies to the table on this massive collaboration. Following his Confession debut this past July, Wax Motif doesn’t disappoint with his second emergence on the label. His two-track Tokyo EP has set the stage for this joint effort, paving the way for the dark dance floor maestro. The EP’s massive success on the Future House charts has cemented Wax Motif’s resolve to finish the summer off strong. After an array of releases and performances at some of the biggest summer festivals including Lollapalooza, HARD, Electric Forest and Electric Zoo, Five Alarm is the best way to bring his summer success to a close.